This book is donated to us, and we are blessed to be able to give them to you for free... but If you feel lead to help with shipping costs, you can do so by clicking here. Brennan Koch merges his love of bowhunting and his passion for the Lord by uncovering biblical truths illustrated through his hunting experiences. The Full Quver is a 31-day devotional that expresses spiritual truths illuminated by lessons learned in the field. As a boy of five or six, I saw my dad bring home deer and ducks, and I wanted to do that. I got my first chance at age nine when, after firing three boxes of shells, I brought down a mallard hen. In the following years I hunted ducks passionately and shot deer with my rifle. Then a friend introduced me to bowhunting, and that’s when I really got hooked. I was a bowhunter for life. From that background came an even greater ambition—to make a living as a hunter. So in 1971, after three years in the U.S. Army and four years in college, I launched my lifelong dream of becoming an outdoor writer. Looking back, I realize the probability of my surviving as a writer and editor was about as great as my becoming a professional basketball player. Zero. Yet, that dream has become reality. Not only did I survive as a freelance magazine writer for 25 years, but I was hired to write a regular bowhunting column for Sports Afield. I’ve also written a number of hunting books and I’m currently editor of Bowhunter magazine. How has a dream with zero potential blossomed so fully? FACING REALITY When I graduated from the University of Idaho in 1971, my wife, Laura, and I were married and I started freelance writing. My first "job" was writing a weekly outdoor column for a newspaper in Klamath Falls, Oregon, for $15 a week, and I sold a couple of magazine articles. But the fact is, Laura and I were going broke. For more than five years, our lives anxiously revolved around the mailbox, and as rejection notices far outweighed paychecks, our bills mounted. I was failing. My dream seemed hopeless. That was a blow not only to my career hopes but to my ego. I’d always prided myself in being strong and independent. I could do anything. I, I, I…Now I was failing. In despair, I conceded that maybe I needed help. But where? Who could write for me? My wife couldn’t. My friends couldn’t. I was doing my best, but that wasn’t good enough. Desperation forced me to search for a power greater than my own, a superhuman power. What about God—if He really existed? In 1976, Laura met a lady who invited her to church. Through that association Laura "got saved," a term foreign to me at the time, and she started bugging me to go to church with her. I wanted no part of that. Christians were nerds with the wet look, thick glasses, plaid polyester pants, white socks, plastic smiles. No way. They were just a bunch of phonies. Hypocrites. No better than me. If God didn’t really change lives, what good would He do me? Then Laura said she’d met a hunter at church, a man I’d met through my writing, and I thought, At least I can talk to him about hunting. So I went. To my shock, people stood up during the Sunday morning service and told how God had changed their lives. Cured their alcoholism. Mended relationships. Given them hope. For these people, Christianity was no dead religion at all. It was living and vibrant. God apparently has changed these lives. Maybe he can change mine; maybe he can help me succeed as a writer. With those self-serving thoughts prodding me, I yielded to God and committed my life to Christ. I "got saved." LIFE CHANGES People commonly resist or reject God because they think they must give up their fun, their habits, their lifestyles. I was one of those. Indeed, God changes priorities. But He will give any believer far more than He will ever take away. Among countless others, here are three ways God has enhanced my life. Career. When I accepted Christ, did my writing suddenly explode with success? No. But gradually, miraculously, the pieces began falling into place—an encouraging word from a teacher; a friend’s financial help at a critical time; getting fired from one job, which led to far better things; jobs opening at just the right moment; my wife’s unwavering support. God meticulously engineered my rise to success. Family and Relationships. In Matthew 7:24-25, Jesus said, "Therefore everyone who hears these words of mine and puts them into practice is like a wise man who built his house on the rock. The rain came down, the streams rose, and the winds blew and beat against that house; yet it did not fall, because it had its foundation on the rock." That rock is Jesus. Yes, storms have come, as they do in all marriages. Yet, at this writing Laura and I have enjoyed nearly three decades of marriage, and we have no concern about breaking our marriage vows—till death do us part—because our foundation, the Rock, is immovable. Eternal Life. Temporal benefits—strong career, solid family, health—in themselves justify belief in God. But they pale in comparison to the promise of eternal life in heaven. The Bible offers two alternatives after death—heaven and hell. Those who believe in Christ are assured of a place in heaven. Those who reject him.... Personally, I prefer the prospects of heaven. Christ has eliminated the fear of death by assuring eternal life in heaven to anyone who believes in Him. For Christians, funerals are not tragedies but celebrations. 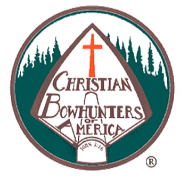 FINAL THOUGHTS Many of us hunters think the mountains and forests are our church, and we worship God by spending time outdoors. Indeed, the mountains, animals, and wild beauty are works of the Creator, but they are not the route to God. The Bible clearly explains that the only way to God is through Jesus Christ. Simply spending time outdoors and thinking lofty thoughts won’t cut it. We must make a personal commitment to Jesus Christ. That commitment does not tarnish the joy of hunting or other outdoor pursuits. It only makes them much richer because you not only gain a far deeper appreciation of creation, but you get to know the Creator personally. That’s the greatest hunt of all. So how do we come to God? Just as Dwight Schuh did, we can receive Jesus Christ as our personal Savior when:First, we admit that—despite any good deeds we have done, or any special talents we might possess—we have all sinned. Second, we understand the consequences of our sin are death and eternal separation from God. Third, we realize God’s provision for us is Jesus Christ. Fourth, we accept Jesus into our lives to be our personal Savior.